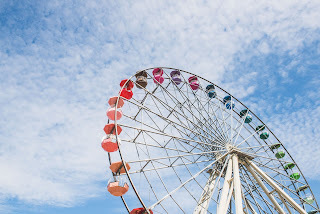 Visit Margate this May bank holiday weekend and take your pick from a jam-packed events and exhibitions schedule – or stay for a few days and do it all! Be one of the first to experience the new additions to Dreamland, or to see the new exhibition at Turner Contemporary. 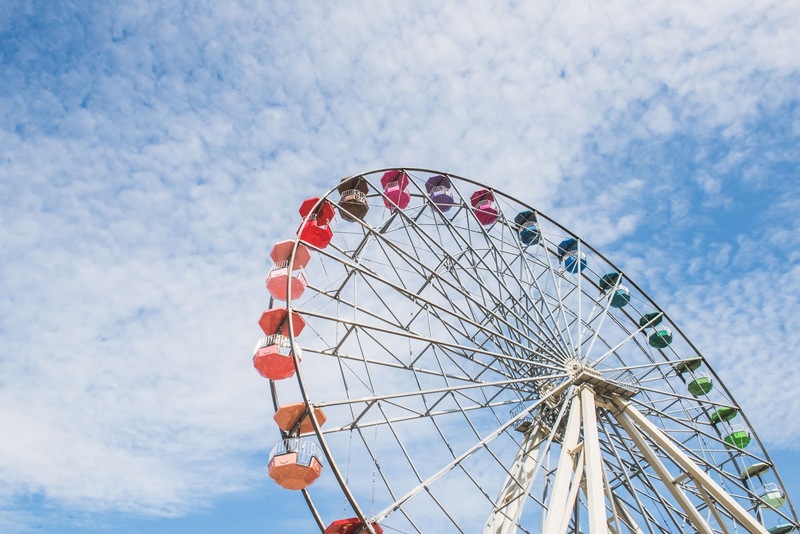 Stroll along the seafront and check-out the amazing artwork on some of the bikes taking part in Margate Meltdown, chill out to live music on the piazza or at one of the venues hosting the Mod and Sixties Festival. Margate is just 90 minutes from London St. Pancras on Southeastern’s high speed service and the station is just minutes from the beach and a short walk from Dreamland, Turner Contemporary, the harbour arm and Margate Old Town, with its enticing mix of galleries, vintage and retro shops and eateries. Free to enter, Dreamland will officially open its doors at 5pm on Friday, 26 May for what is set to be an epic bank holiday weekend for the park relaunch. More vintage rides have been added to the thrilling selection already there, modern art installations wait to be discovered and a new contemporary dining area, ‘The Friendliest Food Court Ever’ will be delivering bold and simple flavours in front of the new live stage, situated next to the Grade II * listed Scenic Railway. Other new additions include The Boardwalk alongside the Grade II listed menagerie cages, The Slide Bar, Tree Top Bar and Teddy and Betty Land – a brand new area with rides and entertainment for the little ones. At 10am on Friday, 26 May Turner Contemporary will open the doors to their summer season exhibition, which celebrates the importance of art and creativity, its capacity to empower all of us and make positive change. The exhibition brings together works by British sculptor Phyllida Barlow, British-Kenyan painter Michael Armitage and JMW Turner, with artwork by young people. Phyllida Barlow has been making large-scale sculptural works for 5 decades, as well as being an inspirational teacher to many your artists at the Slade School of Art. This exhibition brings together works from the ARTIST ROOMS collection, alongside other sculptures and a selection of drawings from throughout her career. The exhibition coincides with Barlow representing Britain at this year’s Venice Biennale. A series of new and recent works by Michael Armitage, a former pupil of Barlow’s at the Slade School of Art, will be shown for the first time in a public gallery in his exhibition Peace Coma. Playing on Western art history’s treatment of places that are seen as ‘other’ and drawing on personal and collective memories of life in Kenya and news and images circulating online, his paintings challenge social attitudes and inequalities. Alongside the work of Barlow, Armitage and a selection of watercolours from JMW Turner, the exhibition will include artworks by school children, young people and their teachers from Kent, Medway and Kenya. Turner Contemporary will be open from 10am to 6pm and is free to enter. Enjoy a snapshot of Dreamland’s past and people in an exhibition of drawings, prints and paintings by Barry Kirk, former principal of Canterbury College of Art. The exhibition presents a unique snapshot of Dreamland in the sixties. Using pioneering creative methods, Kirk’s colourful and bold pieces capture the vibrancy, colour and ambience of the amusement park in its heyday – complete with Teddy Boys and saucy ladies. This is the first time the Dreamland Collection has been exhibited in one major display and the first exhibition the Dreamland Trust, whose role it is to conserve and promote Dreamland’s rich heritage, has shown in Dreamland. The exhibition is free and opens on Saturday, 27 May in the Dreamland concourse. Opening times are the same as those for Dreamland. Margate seafront and harbour is given over to motorcycles and scooters, diverse club and trade stands and, from noon, a stage with live entertainment, including rockin’ DJ Bill Guntrip. This is a popular event for everyone, not just bike lovers, set against the stunning backdrop of Margate Main Sands and seafront.